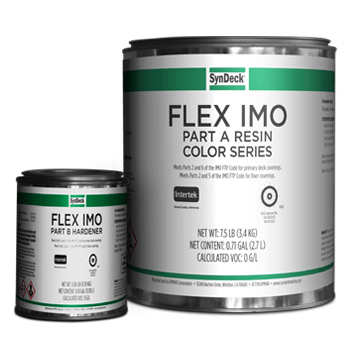 SynDeck® Flex IMO SS1285 is an IMO approved, flexible marine deck underlayment. This 100% solids, two-component epoxy resin underlayment is a resilient decking material and water barrier. 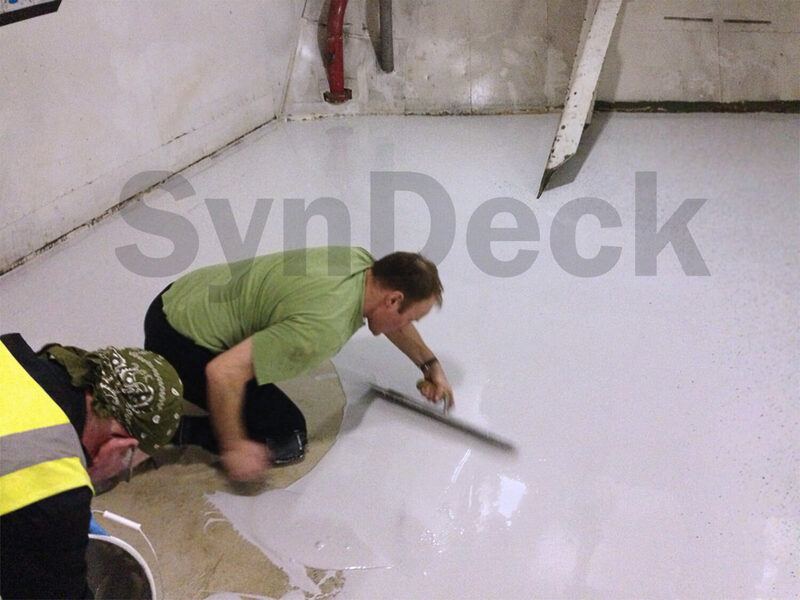 It is formulated to be applied directly over metal, SynDeck underlayments and other properly prepared substrates. This low odor, zero VOC product is trowelable, due to its good flow and self-leveling properties. The flexible epoxy coating can be left plain colored or have flakes added with a final SynDeck clear seal top coat for a decorative finish. 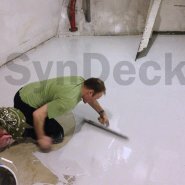 SynDeck Flex IMO can also be used as part of a noise and vibration reduction system.